Above you can see the schematic for the project, but unlike the schematics we've seen before, it has been broken down into seperate blocks, to make it easier to understand. This is often done for more complex schematics as they would be incredibly messy without this. 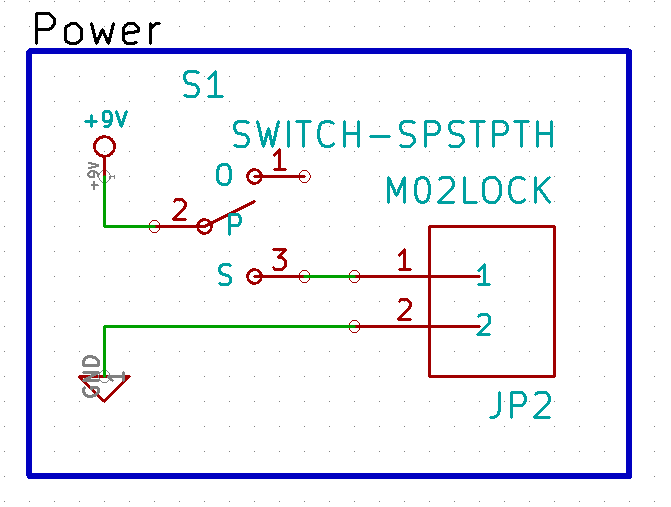 This is the power section, where the power comes into the schematic, through a switch. 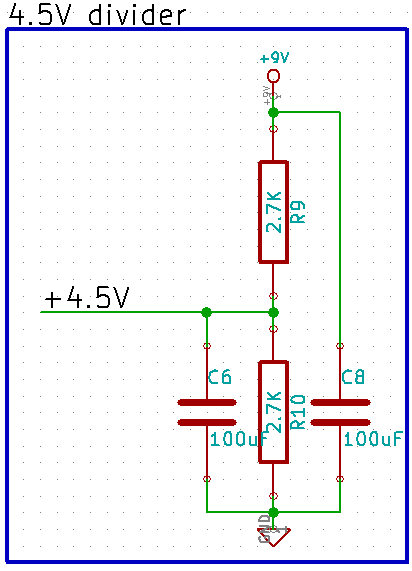 The next simplest bit is probably this bit, which is just a voltage divider to give us a nice 4.5V, and some smoothing capacitors across the supply rails. 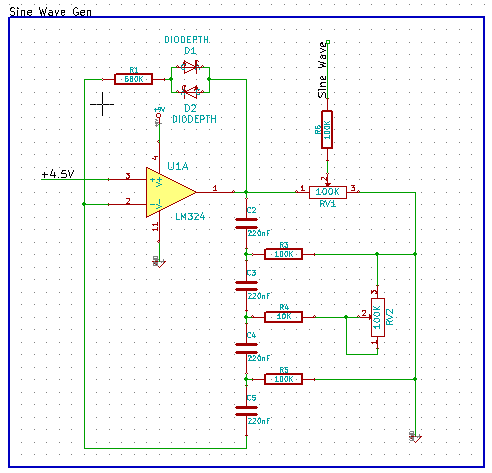 We need the 4.5V because this is what the signal will be centred on, and putting it directly in the middle of the supply rails makes it easier on the op-amp. 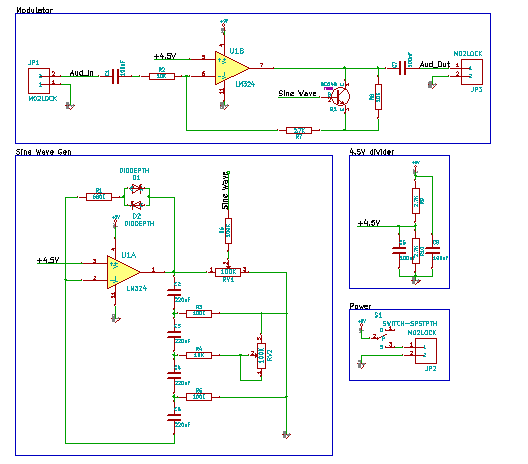 Op-amps generally don't work as well closer to the supply rails, and most of the time don't output near them, to do this, you need a special kind of op-amp, referred to as a rail-to-rail op-amp.